Most peo­ple know hyper­ten­sion, or high blood pres­sure, as the “silent killer.” It can build for decades with lit­tle to no symp­toms and can cause irre­versible dam­age and even death if left untreat­ed. How­ev­er, most peo­ple do not think of glau­co­ma as the “silent blind­er,” but it can build for decades and cause irre­versible dam­age and even total (lights out) blind­ness if left untreat­ed. Most health care pro­fes­sion­als agree that check­ing someone’s blood pres­sure is one of the biggest favors one can do for anoth­er. Check­ing someone’s eye pres­sure is just as easy and just as non­in­va­sive! Glau­co­ma can occur in the absence of high eye pres­sure, just as car­dio­vas­cu­lar dam­age can occur in the absence of hyper­ten­sion. 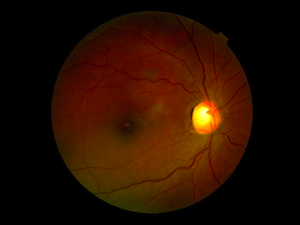 So, a com­pre­hen­sive eye exam­i­na­tion is need­ed to check for both its exis­tence and its risk fac­tors, the biggest of which is high eye pres­sure. In short, good vision and com­fort­able eyes do not nec­es­sar­i­ly sig­ni­fy good ocu­lar health, so reg­u­lar eye care is need­ed to help ensure a life­time of see­ing all that Earth has to offer.